1. Being home for Easter, its so nice to have a little break from everything…although I've got so much work to do its hardly a break! 2. Seeing my home friends, its so nice how we can go months without seeing one another but when we're reunited its like we've never been away! 4. Toad in the Hole. One of my most favourite dinners ever. 5. Fancy Dress. 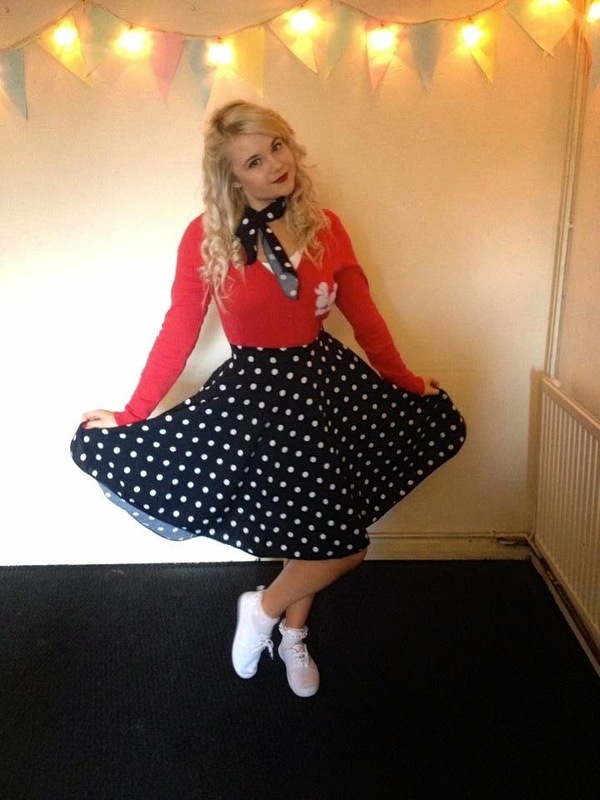 I loved mine & my housemates 50's fancy dress for a university charity event. 6. I've lost half a stone! I already feel so much happier & confident in myself! Only 2 stone to go and then I'm at my desired weight. 7. BuzzFeed. The best website ever! 8. Impromptu shopping trips. Navy seems to be the current colour scheme. 9. Barry M - GreenBerry. 10. HayFever tablets. An absolute Godsend. You really suit the fifties look!